COVENTRY MESSAGE BOARD • View topic - "70 flats to be built inside the ring road - and they're not for students"
"70 flats to be built inside the ring road - and they're not for students"
Plans to turn Greyfriars Court into 70 dwellings is the latest redevelopment in the city to have been given the green light. The site, located on 2-10 Greyfriars Road, 2 Sheriffs Orchard and 12-14 Queen Victoria Road is currently home to two Coventry estate agents, and it is not known what will happen to these. However, it is believed that the ground floors of 2 Sherriff's Orchard and 6-8 Greyfriars Road will remain in use as offices. In early March, Coventry City Council received a planning application from Coventry Greyfriars LLP, which showed the plans to alter the part four-storey, part five-storey building. Built in the late 1980's the property currently contains a mixture of commercial tenants and a number of vacant units. But, under the new plans, the building will now provide 70 residential units in total. Of these, 11 will be studio units, 20 will be one-bed units, and 39 two-bed units. The site currently has car parking, of which 31 spaces will be retained, with a number making way for 72 secure cycle racks. I don't see anything there that suggests they're not for students? 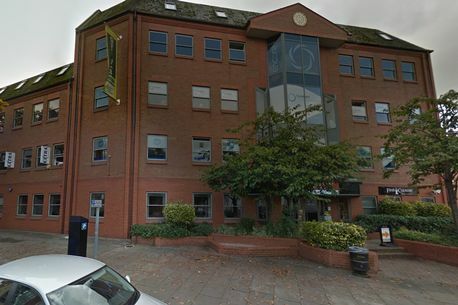 Re: "70 flats to be built inside the ring road - and they're not for students"
It’s the Coventry office block that has just changed hands for almost £4million - and it could eventually become student accommodation. 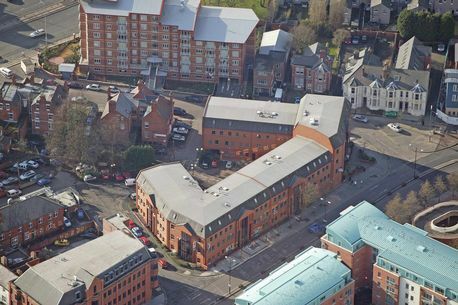 Greyfriars Court, which is close to Coventry railway station, has been sold in a £3.75m deal. The Greyfriars Road building was sold by Birmingham-based property company Hortons’ Estate. The building, which comprises 50,000 sq ft of office space, was sold to First Urban. The London-based property investment and development company has admitted it is exploring alternative uses for the building - including residential conversion and student accommodation. “Multi-tenanted and income producing with asset management opportunities.